To celebrate the launch, I’m running a few interviews here on the site. Today, I’m talking to Harry Manners about Szcar’s Trial. It came from two things. First, whenever I’ve ever had a spacey late-night conversation about alien civilisation, UFOs any whether on day Earth will be visited, my immediate thought is if it’s possible, it probably already happened. Humans in their modern form have existed a mere hundred-thousand-years (with hominids tracing back a few million years). Set that against over half a billion years for which complex life has existed on the land and oceans, an unimaginable stretch of time–a thousand times longer than the time apes have walked on two legs! What if aliens did come to check out Earth and sweep it for intelligence? What if what they found was a primordial planet full of monsters? The second source of inspiration is totally different. It comes from a Top Trumps card. The dinosaur version. It had a funky “evolved” humanoid card somewhere in there, projecting forward to what intelligent dinosaurs in the raptor family (Troodon et al.) might have become. It was just a bit too weird and fantastic to forget. Where do you stand on the whole “dinosaurs had feathers” issue? It’s pretty clear cut in some respects. Certainly some branches of dinosaurs evolved during the Jurassic period to become smaller, hollow bones, with claws suited for climbing trees and scales that resembled primitive feathers. Certainly modern birds are their descendants. As to whether all dinosaurs had feathers, as far as I know there’s still much to learn. Imprints of dinosaur skins are exceedingly rare, and larger specimens are almost always exempt from the more delicate processes that preserve the tiny bird-like feathered dinosaurs we know. The handful of skin imprints we have found do show something much closer to our classical idea of what dinosaurs looked like — scaly, bumpy, and smooth. That said, it’s always worth picturing a rampaging Tyrannosaurus sporting magnificent plumage, for a good laugh. What’s the setting for your story? My story is set in the Cretaceous period, somewhere on the western landmass that has become North America. Back then a great inland sea divided the continent in half. My story follows a bunch of highly intelligent dinosaurs descended from the Troodon family, semi-sentient and living during a time of intense drought, near modern day New Mexico. Would you visit Jurassic Park if no expense was spared? Ahm, yup. Even if I got eaten. If you’re a super nerd like me, you own all the concept art, the books, the maps, all that stuff. (If you’re an uber nerd like me, you spent a few years of your life running a Jurassic Park fansite.) So you’d know there was a lot more on that island to see. The tour got interrupted when T-Rex attacked, remember. I’d try to see all the other creatures, before I inevitably fell victim to some hidden thing. What’s your favourite dinosaur movie and why? Jurassic Park. I will fight to the death to defend that movie’s honour. I could recite it for you line by line, I swear to god. And act it out (which I used to do with my brother…). The CGI in that film has simply not dated. It’s incredible. I watched Jurassic World a while ago after much resistance to its existence, and… just, wow. They do not compare. Jurassic Park really struck me as special when I was young because it didn’t depict dinosaurs as monsters. Yes, it is a monster movie, but the dinosaurs were just animals, and in many ways man was the real monster. Then there’s the score. And Jeff Goldblum. It’s just the perfect movie for a little boy, and it arrived just in time for me. What’s your favourite dinosaur and why? Allosaurus. It’s not T-Rex, I know. But a T-Rex skeleton up close looks too bulky. I imagine in the flesh it looked like a fat bulldog. 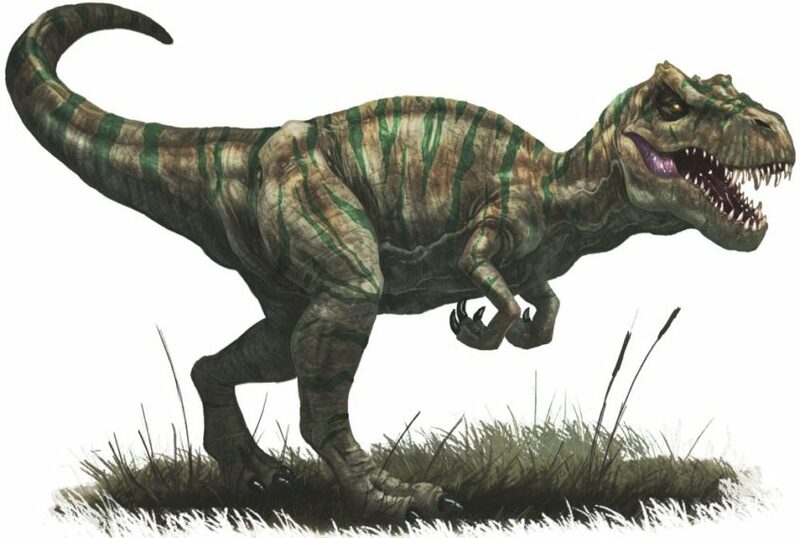 Allosaurus is sleek and wiry, a real predator built for running. It’s what comes to mind when I hear the word dinosaur. Once readers have read your story, which of your books/stories should they read next? I have a post-apocalyptic trilogy called the Ruin Saga. The first book is free for anyone to try (you can get it here: http://www.harrymanners.net/books/ruin). Harry Manners is a British author of science fiction and fantasy. When he’s not writing, he spends his days as a science grad student, and reads whatever he can get his hands on. Journey back to the most incredible adventure of all, back through the gates of the Jurassic era, back to a time when dinosaurs roamed the earth. In this title in the acclaimed Future Chronicles series of speculative fiction anthologies created by award-winning author Samuel Peralta, thirteen authors assemble an array of astonishing tales around creatures extinct for eons, around prehistoric creatures suddenly, and awesomely, made real. The Jurassic Chronicles features stories by Victor Milán, author of Dinosaur Lords – “a cross between Jurassic Park and Game of Thrones,” according to George R. R. Martin; John W. Campbell Award winning author Seanan McGuire; New York Times and USA Today bestselling author Laxmi Hariharan; plus ten more of today’s top authors in speculative and science fiction. 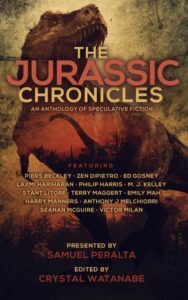 Get your copy of The Jurassic Chronicles here – On Sale for just 99c!